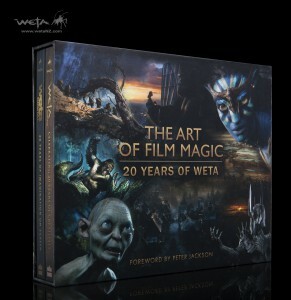 As you will recall we teamed up with our friends at HarperCollins to give away a signed copy of this fantastic set of books covering the amazing work by the great folks at Weta Workshop & Weta Digital. After going through all the submissions picking one person was a tough choice, but one very lucky fan of the talent in New Zealand is about to be very happy. We are pleased to announce that Megan C. of Gallup New Mexico will be the lucky fan to recieve The Art of Film Magic – 20 Years of Weta from HarperCollins. We will be passing along your information and you should have your gift coming soon. Thanks to HarperCollins for teaming up with us and all of you who took the time to enter.